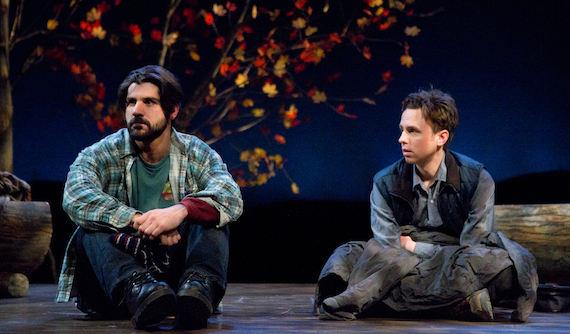 Contributor Lindsay B. Davis reviews The Clearing, a new play by Jake Jeppson. Rarely does a set take my breath away before the action even begins, but The Clearing, a new play premiering at the Theatre at St. Clement’s, does just that. The perimeter of the stage is lined with trees with branches adorned with beautiful fall foliage and a wooden floor overlay covers the stage’s entire 1,710 square feet. A massive tree trunk juts out of the floor between the stage and first row of audience seats—giving the feeling of an orchestra pit populated by bark, leaves and dirt. It is that impressive. 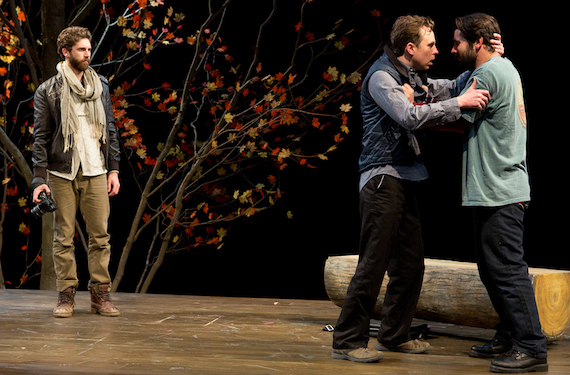 The forest’s potential for theatricality was clearly on the mind of Jerome Fellowship playwright Jake Jeppson, who endows the space between the trees with a dark secret. His particular upstate New York clearing is the site of an event that the Ellis brothers Les (Brian McManamon) and Chris (Brian P. Murphy) have managed to keep between each other until the former’s new boyfriend Peter (Gene Gallerano) enters the picture and begins prodding through the family’s closet of skeletons. As Les and Peter’s relationship deepens, Chris, who struggles with an undisclosed mental affliction, draws even closer to his mother Ella (Allison Daugherty). She is a woman whose church going ways and conservative tendencies are sometimes at odds with both sons, even as they are all bonded by a grief 18 years in the making. The Clearing is told non linearly, initially aided by voiceovers to establish time before eventually changing direction and moving forward in sequence, a structure that is occasionally confusing (particularly when the voiceovers stop and we are left unsure of where we are in the chain of events) but ultimately works. 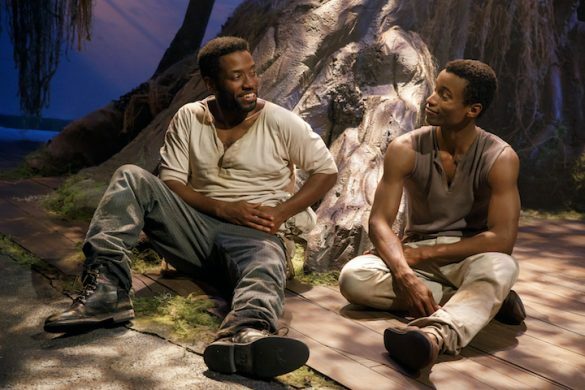 Tenderly performed by all members of the cast, each tasked with a series of emotional and physical reveals, The Clearing goes deep into a heart of darkness and accomplishes a level of intimacy that leaves you stirred. Murphy’s Chris is a generously drawn boy-man, both entertaining and sad, one of the most compelling aspects being his negotiation of the freedom he seeks and the impulses that drive his behavior. 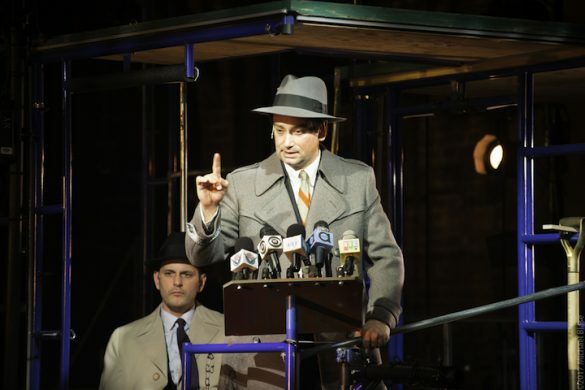 McManamon as Les, the more reserved and softer spoken of the two brothers, finds the levels in himself that balance out the more vociferous Chris. His scenes with his inquisitive, photographer boyfriend Peter, who Gallerano plays with plainspoken, poetic charm, are a fulfilling depiction of a gay male relationship. Neither character feels the least bit stereotypical. All the men on stage are quite serious and though they have playful sides (you will delight in what Murphy does with making s’mores). They are thoughtful, grounded and rooted in their emotional lives with which they are wrestling, and they explore their psyche and each other with articulate language and bold gestures. The singular woman’s voice is Daugherty’s Ella, portrayed as strong, funny, sensitive and stoic for reasons explained as the story unfolds. While certain directorial and design choices left me dissatisfied with some of the details of her character (thick Midwestern accent that is out of sync with her sons and the upstate New York setting; high-waisted belted pants and costume pieces that create a caricature “mom who isn’t with it and doesn’t get it”), Daugherty finds a vulnerability that is so raw and authentic, one forgives these details or at least is challenged to find their justification. Jeppson script is well crafted and replete with surprises and raw explosions of humanity, though at times the dramatic tension feels unevenly paced. Drama Desk Award-winning director Josh Hecht gives the actors space to play and room for the play to breathe. However, the choice to use the entire space as a clearing is so overpowering it sometimes dwarfs the action. It also gives an unrealistic backdrop to scenes taking place inside the house. The use of the few spare logs to establish place (the boys’ bedroom, mom’s kitchen, a makeshift photo studio) distract from the action. There is also the time factor. 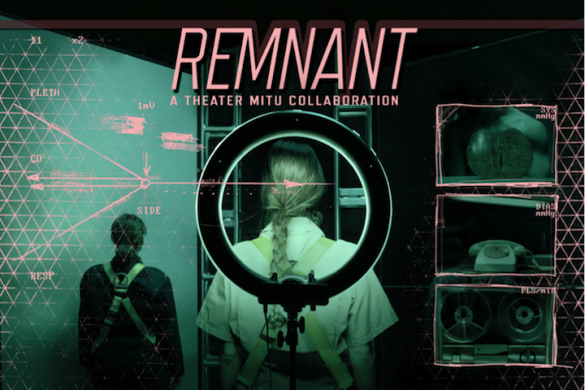 The play runs an hour and forty minutes without intermission and while Sam Kuznetz’s beautiful sound design and Lorin Lattaro’s conceptual choreography between scenes help keep things moving, at times the momentum falls out of the story. That said, these are minor disturbances to an otherwise very satisfying dramatic production, which Hecht directs with an equally compassionate and scathingly truthful touch, finding the artistry in the ways families and lovers become bound together and torn apart.